According to a recent report, Intel will launch their enthusiast Haswell-E processors alongside the new X99 chipset on August 29th. Rather than just a paper launch, Haswell-E CPUs and motherboards using the X99 chipset, as well as DDR4 RAM for the platform, should all be available to buy on the day. At this stage it looks like Intel will launch three CPUs as part of the Haswell-E line. The flagship part will reportedly be the Intel Core i7-5960X, featuring eight cores and 16 threads, a clock speed of 3.0 GHz and 20 MB of L3 cache. The SKU is expected to cost more than $1,000. For a more modest price, you'll be able to get the Core i7-5930K, which comes with six cores and 12 threads, a clock speed of 3.5 GHz, and 15 MB of L3 cache. It'll be available for upwards of $500, still commanding a considerable premium over Intel's standard Haswell chips. The final part is expected to be the Core i7-5820K, with six cores. Other specifications for this chip haven't been revealed (we're possibly looking at a clock speed of 3.3 GHz and 15 MB of L3 cache), but it's expected to cost between $350 and $450. Haswell-E CPUs are supported on Intel's X99 platform, which is the first (on a consumer level) to support DDR4 memory. 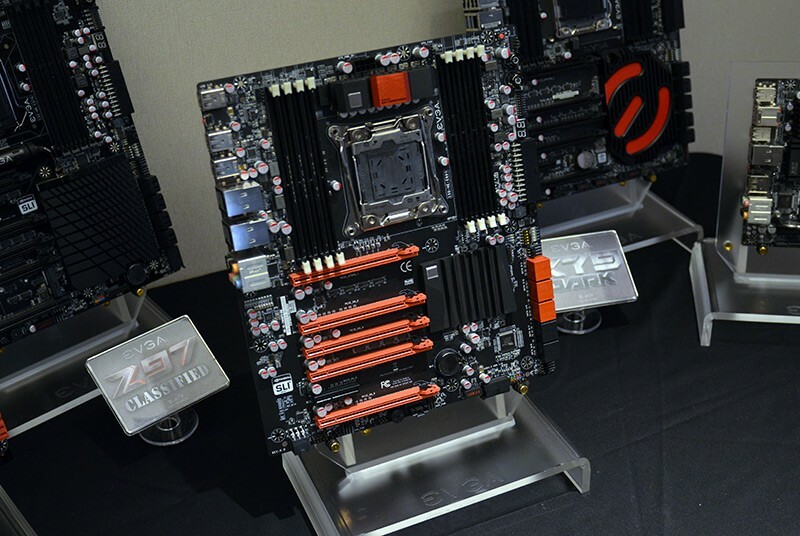 We saw some X99 motherboards on the Computex show floor in June, including features such as USB 3.1, SATA Express and a large number of PCIe channels.